Goalles, But Certainly No Bore Draw! The overall result which be published in today's newspapers didn't reflect on the performance which was put on display, where the Blades should have registered their 12th home victory of the season, as well as their fourth straight win in front of a Bramall Lane crowd. Instead they settled for a 0-0 draw, despite bombarding the opposition goal, their weak looking defence stood firm. United hit the woodwork early doors as well as seeing a strong penalty appeal turned down. Play-Off hunting Gillingham will have been happy with the result, whom were without a couple of key players, as they look to cement their place in this season’s top six. A further two points would had come in useful for United, had this game ended in victory. United are still remain with an outside hunt for a top six spot, despite their being a nine point gap. Blades boss Nigel Adkins fielded the same starting XI which had beat Walsall by two goals to nil seven days previous, though Florent Cuvelier and Conor Sammon were favoured on the bench ahead of Louis Reed and Graham Kelly. United dominated from the kick-off and within a minute were given a sign of things to come, as Adams, with too few options in front of him, lashed the ball at goal only to see his powerful strike cannon off the crossbar and fly away to safety. In the early exchanges El-Abd scuffed Done's cross and keeper Nelson dived to save an effort from 18 yards out from Adams long range effort. The Gills almost capitalised at the other end from some rather lacklustre defending. Long was unable to keep hold of Jackson's long throw and with the goal empty, Donnolly, with his back to goal, attempted to lob but could only hit the roof of the net! Nelson made a quick reaction save from Sharp's close range effort after he latched onto Coutts miss-fired effort, either side of goal and United would have taken the lead. Gillingham then wasted their best opportunity to braek the deadlock, an unmarked Ehmer headed Dicenson's free-kick across goal with Oshilaja, also unmarked heading into the Kop, it would have been undeserved but it would have been typical considered the luck United was having so far. Edgar was the first player to enter the referee's notebook when he was booked for a mistimed challenge on Norris on 26th minute. Sharp and Flynn both failed to create a chance from Coutts threw ball and moments later the Blades were turned down for what looked a stone wall penalty as Flynn knocked the ball around Nelson only to see the keeper halt his progress, but referee Rob Lewis turned away any appeals. Wright went into the book for the visitors as the fourth official signalled an extra four minutes of play which turned into six following further disruptions in holding up play. United continued the start of the second half where they left off, but despite creating a number of opportunities was unable to force the issue. Coutts found himself baring down on goal, on-on-one with Nelson and searching for his first Blades' goal, he was denied and in the confusion which followed, El-Abd blocked the resulting rebound and away for a corner. Referee Lewis was again at the centre of attention as he halted a quick-fire taken free-kick, with much frustration to the United faithful and to Billy Sharp, who struck the post before the ball was called back to be re-taken. In the Gills next attack they were left claiming a penalty after Adams hacked down Crofts, there was some debate as the authenticity of the fouls geographical location, but the referee pointed for a free-kick at an uncomfortable angle. Elmer fired the cross over the top. As the clock ticked past the hour mark, the play was pretty even, Cody McDonald was introduced for Donnolly for the visitors as they made their second change of the afternoon, Williams had already replaced an injured Hessenthaler just past the half-hour point in the first half. At the far post, Done headed over under the pressure of Jackson following Sharp's cross. From an Adams lay-off, Hammond fired narrowly over from distance. Further frustration was mounted on United. With 15 minutes remaining, Adams at the near post and Sharp more central, failed to connect with Coutts low ball into the box with any positive connection surely would have resulted in a goal. Three minutes later last ditch defending kept the scores level when the visitors looked certain to steal a win. Dickenson's free-kick fell to the feet of Oshilaja and after his effort was blocked Norris looked to pounce, but his effort was bravely blocked on the line by skipper McEveley. Baptiste saw his volley deflect wide for a corner as United were back on the attack, and when the back line was penetrated, after Flynn put the ball past Ehmer, Adams was unable to control as it spun to safety for a goal-kick. Again four minutes of added on time was announced, but United were unable to find the net. 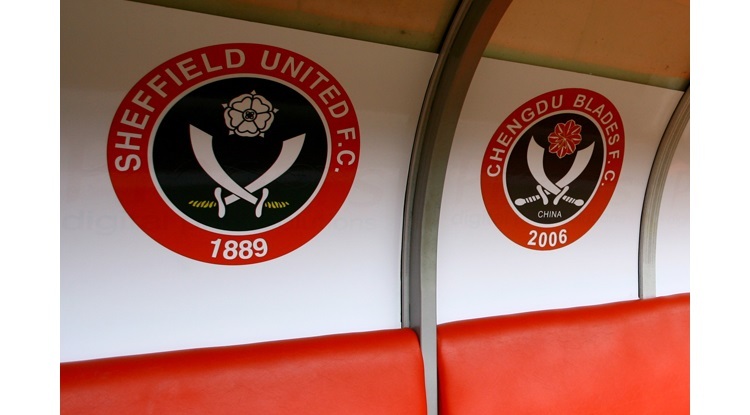 Sheffield United: Long, Basham, Flynn, Coutts, Sharp, Done, McEveley, Baptiste, Adams, Edgar, Hammond. Unused: Howard, Woolford, Sammon, Calvert-Lewin, McGahey, Cuvelier, Whiteman. Gillingham: Nelson, Jackson, Ehmer, Al-Abd, Hessenthaler (Williams 32) (Dack 83), Donnelly (McDonald 62), Crofts, Norris, Dickenson, Wright, Oshilaja. Unused: Garmston, Egan, G Morris, A Morris.